We're joined by 'The Voice' of Africa Vusi Mahlasela and our Win A Home mentors and we make a Kessler quiche to share with everyone. 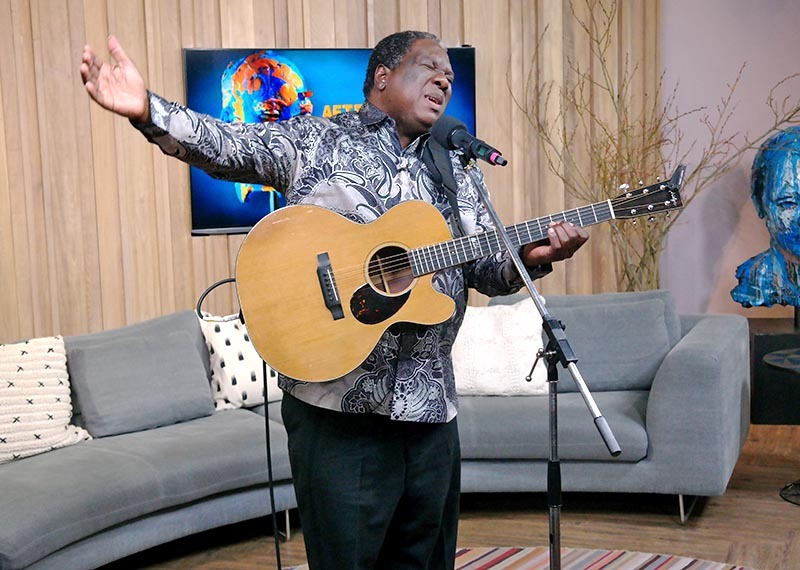 Our main guest today is musician Vusi Mahlasela. Known as “The Voice of South Africa” he famously wrote the song “Say Africa”. For Win a Home on Afternoon Express we have our three magazine mentors in the loft and we’ll be chatting to them about their journeys on the show. Elle Decoration's Bielle Bellingham, VISI's Sumien Brink and Real Estate Magazine's Michelle Snaddon tell us how they've found the Win A Home journey, their experience with the contestants and how they included the latest and future decor trends into the three Val de Vie apartments. In the kitchen, we’re continuing our celebration of weekend breakfasts with a spin on a quiche.